Do large cities grow more or less rapidly than small ones? Why should the relationship between city size and population growth vary so much from one period to another? 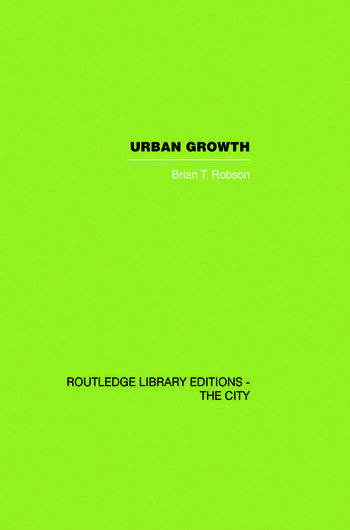 This book studies the process of population growth in a national set of cities, relating its findings to the theoretical concepts of urban geography. To test his ideas, the author studies the growth of cities in England and Wales between 1801 and 1911. His explanations draw strongly on the connection between growth and the adoption of innovations. He develops a model of innovation diffusions in a set of cities and, in support of this model, looks at the way in which three particular innovations - the telephone, building societies and gaslighting - spread amongst English towns in the nineteenth century.